It’s that time of year again, dust off your shovel and rake and break out the gloves, its time to start planning your spring gardening projects. Whether you plan to plant a few potted flowers to brighten up the front of your house, or grow enough vegetables to feed your family for the year, spring is always a busy and exciting time for gardeners. 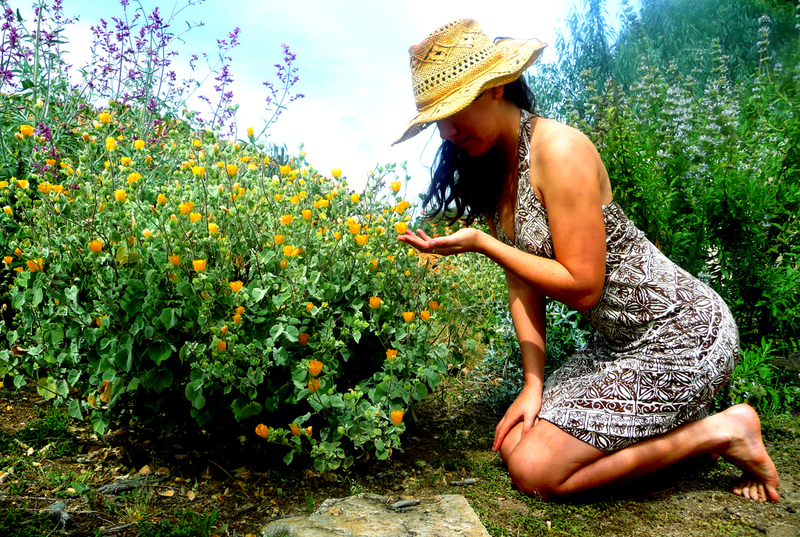 The most important lesson to take with you, is that you’ve just got to get outside in the garden and do something! The key to any DIY garden project is planning. In any space the largest pieces draw the eye immediately and demand your attention. A great idea for the anchor piece in a small garden is a dwarf fruit tree planted in a Cedar Planter. Imagine orange juice fresh from your backyard, or juicing your own limes to liven up some homemade salsa. 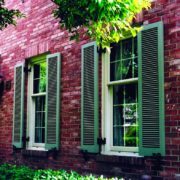 If you live in a cooler climate planters have a undeniable benefit. Some of the more delicate fruit trees can’t handle harsh climates, but a tree in a mobile planter can easily be moved inside when the mercury starts to drop. Cedar planters are the easiest to paint, plus it’s a fun DIY project that will get the kids in the garden too! Not a fan of citrus? No problem, try arranging multiple planters around the perimeter of your patio or deck to create separation from the rest of the yard. 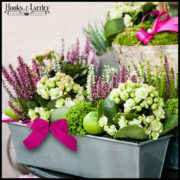 Fill these barrier planters with flowers, vegetables, or perennial shrubs. Do you have a creative friend of family member? Provide a few cans of paint and some brushes and that row of planters will become a canvas allowing infinite options for customization of your outdoor space. 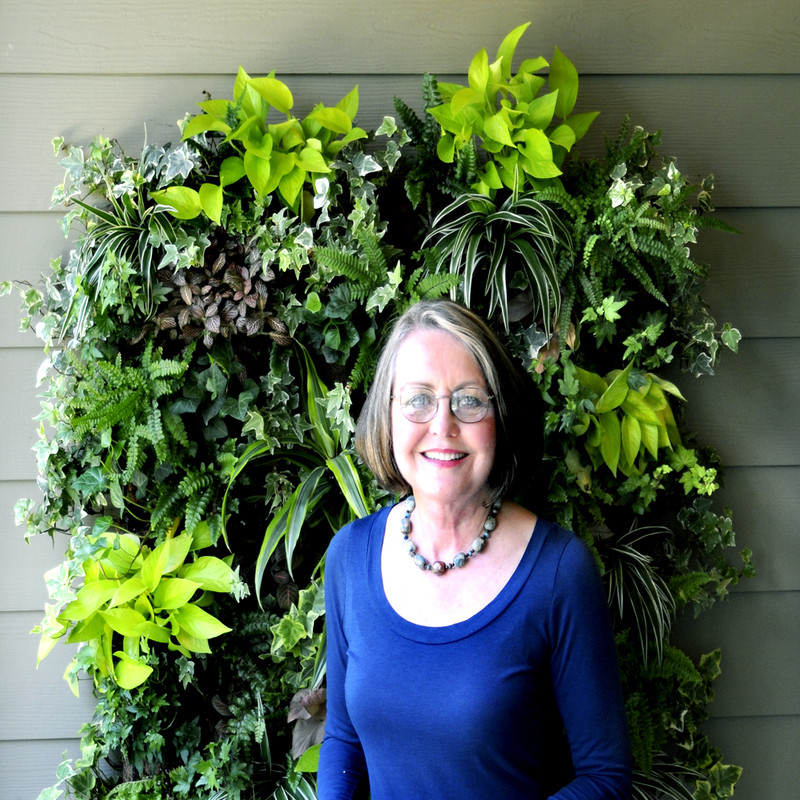 A living wall is an excellent addition to any small gardens décor. 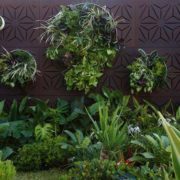 If your garden is limited to an enclosed area try hanging a Living Wall Planter on any wall to add life to a once dead space. An absorbent mat set behind this durable planter protects your walls from any water damage. 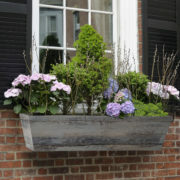 Let your creativity run wild and arrange several planters on a large wall to add a custom touch to your garden. If your felling ambitious try covering a large vertical space with planters, then use a variety of colored flowers and plants to make a design, or even spell your family name. For small space gardening, check out our living wall planters. They’re modular, so you can make your project as big or small as you want! After all your hard work be sure to sit back and enjoy the results. 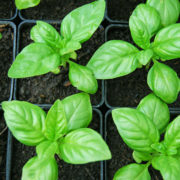 If you have grown vegetables you and your family will surely enjoy a few meals from the garden. Flowers with large and fragrant blooms can be cut fresh and arranged in a vase as a thoughtful gift for the neighbor who is always there for you, or kept on the dining room table as a DIY centerpiece straight from your garden. On the other hand, if you have grown some smaller succulents or flowers, glass pendant terrariums hanging in your home or office are the perfect way to display the product of all your hard work. 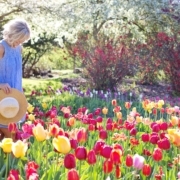 As with any hobby the key output of your spring gardening this year should be joy. The time spent planning, planting, and caring for your garden this spring will pay dividends throughout the summer and fall. Dream big this year and make your garden the talk of the town! What are your spring gardening ideas? Share them in the comments below!